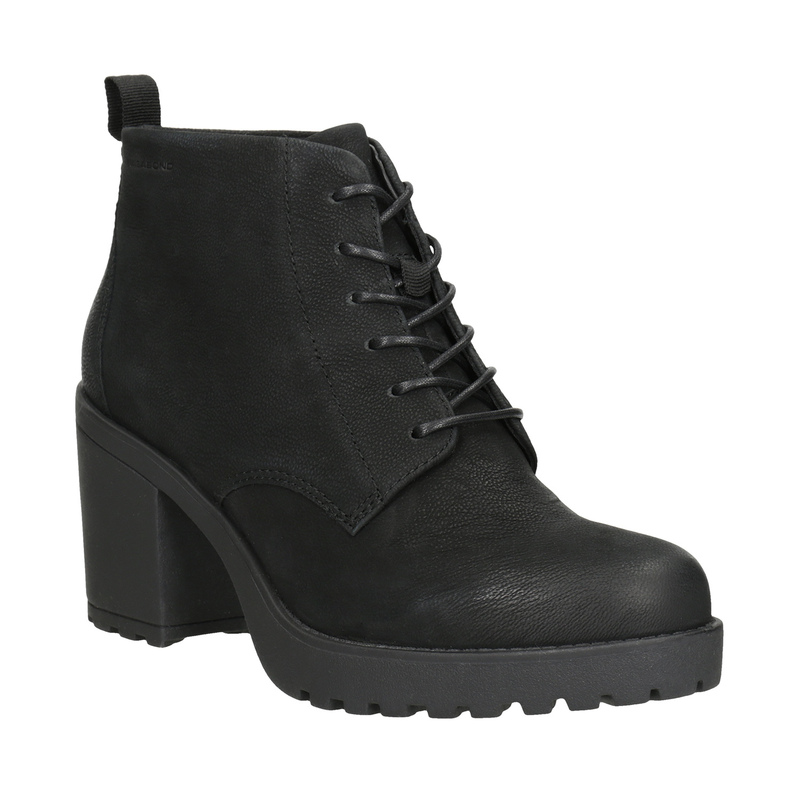 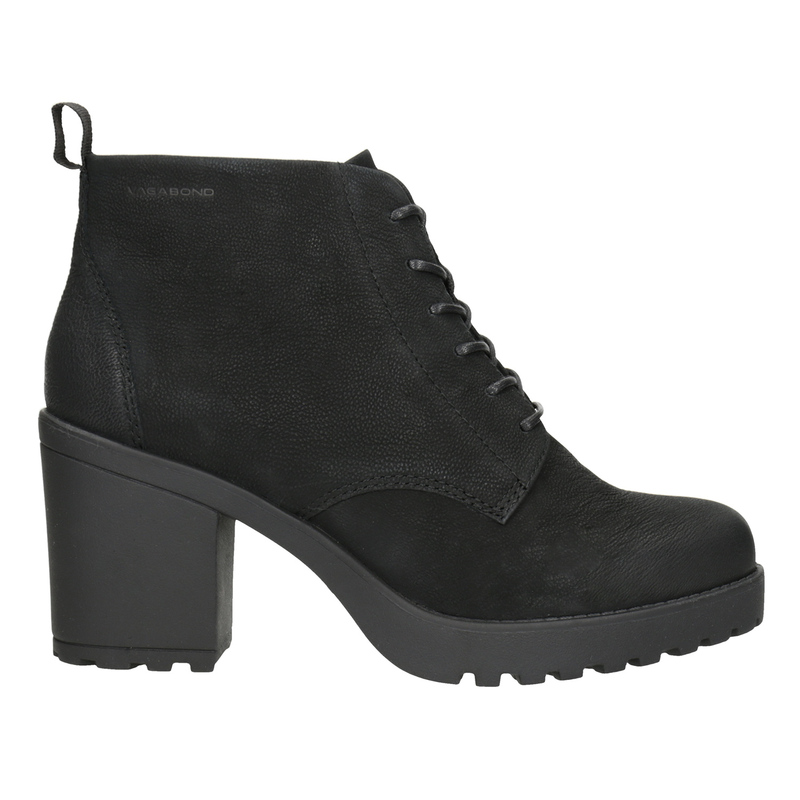 These ladies’ ankle boots by Vagabond have a high-quality leather upper accented with simple stitching. 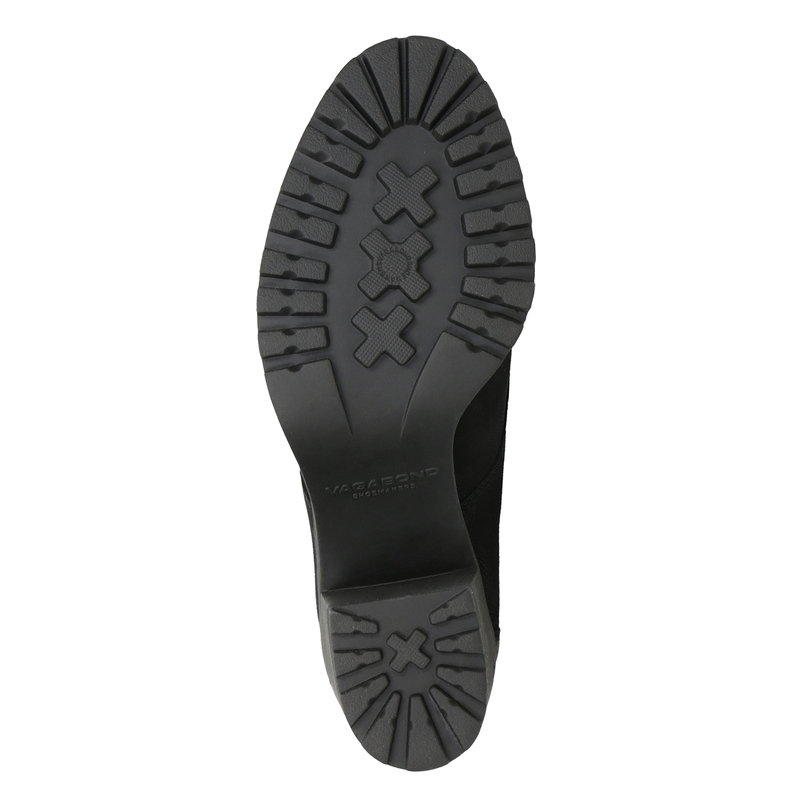 Other unique accents include the pull tab at the heel and the subtle stamped brand logo. 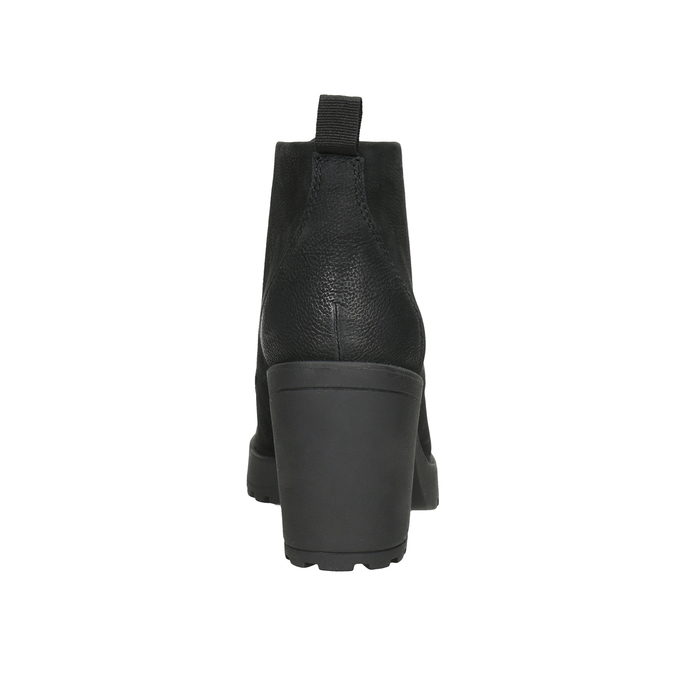 These boots have a chunky heel and platform sole with a tread that are figure-flattering yet also allow you to last all day in them, even in harsh weather. 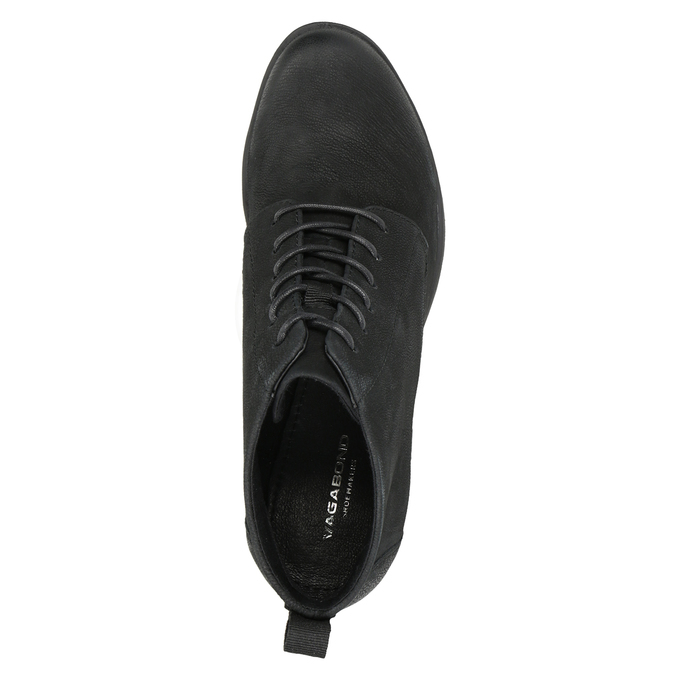 Pair with slim-fit trousers, and complement with a high-quality hobo handbag.